Spun brass with a baked-on, painted enamel finish. 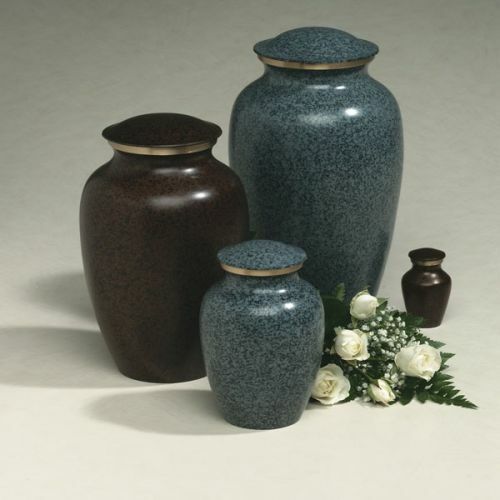 Urn surface is not engravible. Top-opening threaded lid. Spun brass with a baked-on, painted enamel finish. Urn surface is not engravable. Top-opening threaded lid.